On the 14th July the Tunbridge Wells Taekwon-Do instructor and one student made their way to Guildford for the annual London Open. 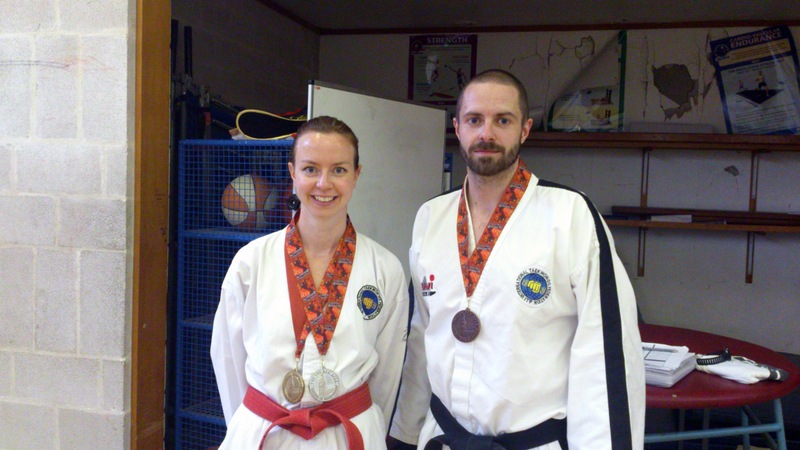 Mr Thompson got a bronze in black belt patterns and then Sarah Budd won a gold in colour belt patterns and silver in sparring – fighting competitors two weight categories above her own! 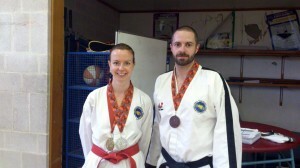 Mr Thompson with Sarah Budd. This entry was posted in Uncategorized on 15/07/2013 by Mr T.